You might know the benefits of using parameterized query (e.g boost query performance in term of speed, avoid SQL injection attack, etc) but how it can be done in programming way might sound like a different story to you. 🙂 In this tutorial, I’m going to show you how we can achieve that in using of C++ and SQLite. I am using VS C++ 2010 in this tutorial. Let’s start the tutorial now. 1. Create a Win32 Console Application. 2. 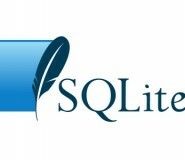 Include SQLite header in the project. 3. Create a function to insert record into the table. // update age to 28 if FirstName equal to "askyb"
6. Compile and run you code in command windows now and you should see the following screenshot. How to compare Blob datatype in c++ from sqlite?